If you guys have been following me for a while, you know that I absolutely love my healthy desserts. 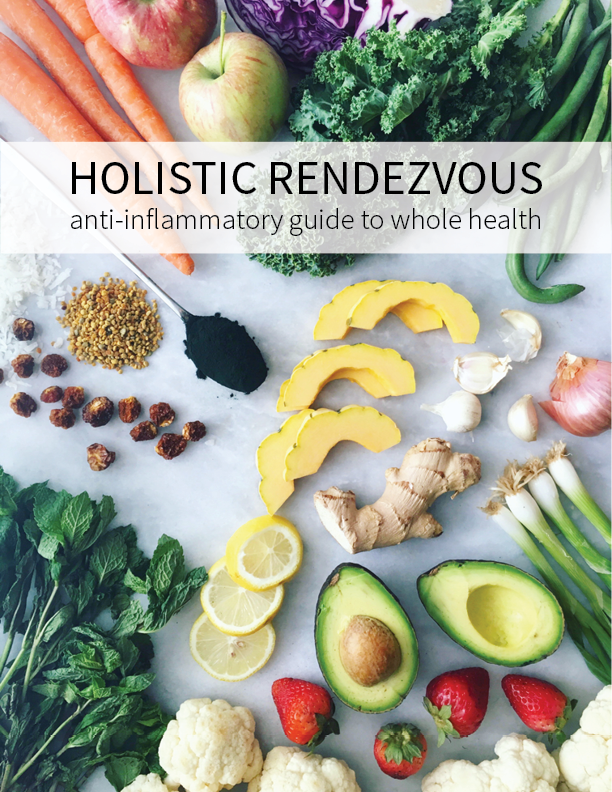 I am not one to recommend any type of depravity, so I love to come up with blood sugar balancing desserts that are fulfilling and delicious for me and my clients to enjoy! 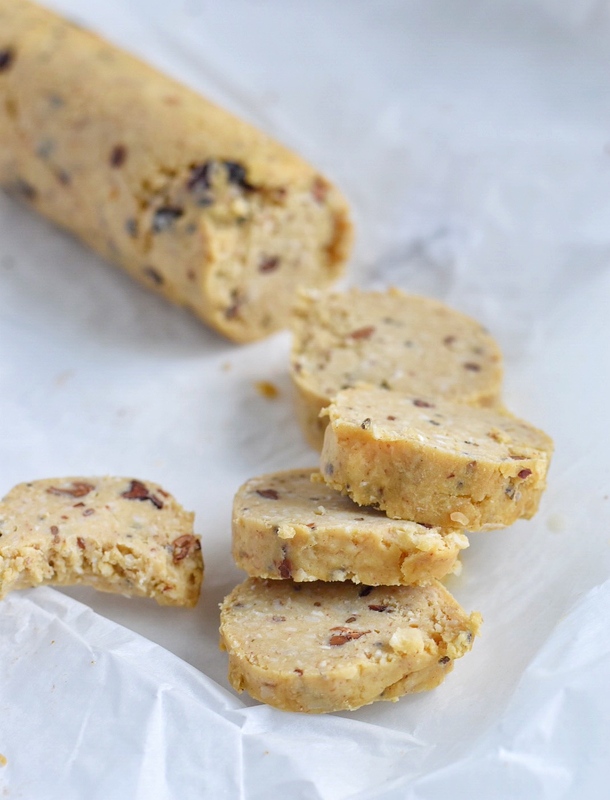 This Vegan Cookie Dough is definitely one of those treats! I have another recipe for Cookie Dough Balls that I am also obsessed with, but I wanted to give you a more ‘true’ cookie dough as well. Meaning creamy, soft, and ya know, ‘cookie-doughey.’ This recipe incorporates a super fiber rich ingredient to make these lower in calorie, softer, and more ‘cookie-doughey.’ This recipe is super simple and fun…people might even think you’re pulling out a roll of real cookie dough. I have used this recipe as a dip and rolled it to look like those sugar cookies that you may have eaten as a kid that you pop open and slice. I remember buying them at different holidays… the Halloween ones would have ghosts and pumpkins while Christmas was wreaths and trees! Anyways, I think you’ll love this both ways and the recipe makes enough so that you can have it both! I use parchment paper to roll this and then freeze it and cut it into pieces. 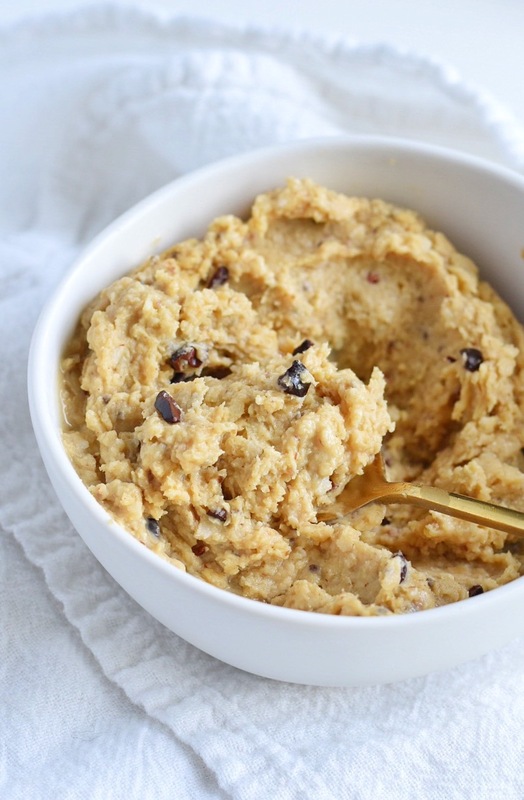 For the dip, I like just eating it by the spoonful or using at as a frosting on my Chocolate Chip Peanut Butter Bean Bars! That is an insanely decadent treat! 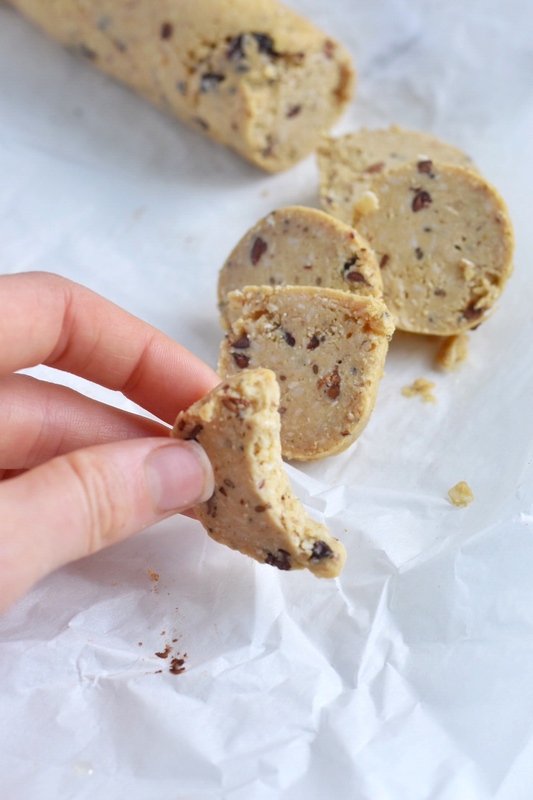 Remember to get creative with this Vegan Cookie Dough recipe…there are plenty of places where you can swap ingredients and add more or less of certain ingredients to create a flavor that is unique for you! 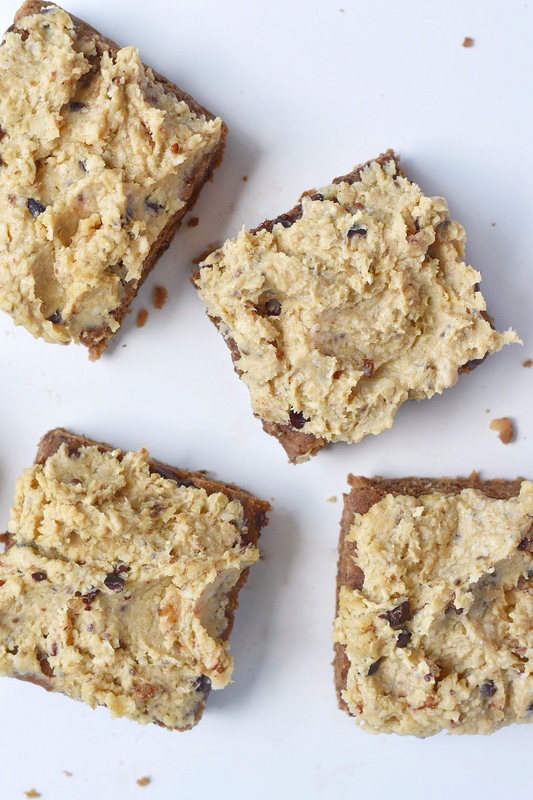 It’s like freezer fudge, but cookie dough, so get to this recipe and enjoy! Blend all ingredients together besides chocolate chips until smooth. Then mix in cacao nibs/ chocolate chips. 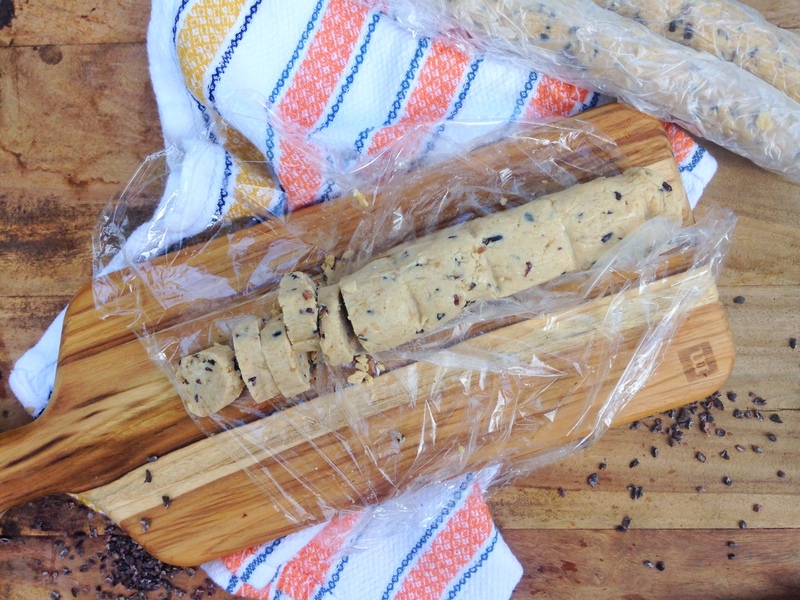 Place on parchment paper or plastic wrap and roll into cookie dough! 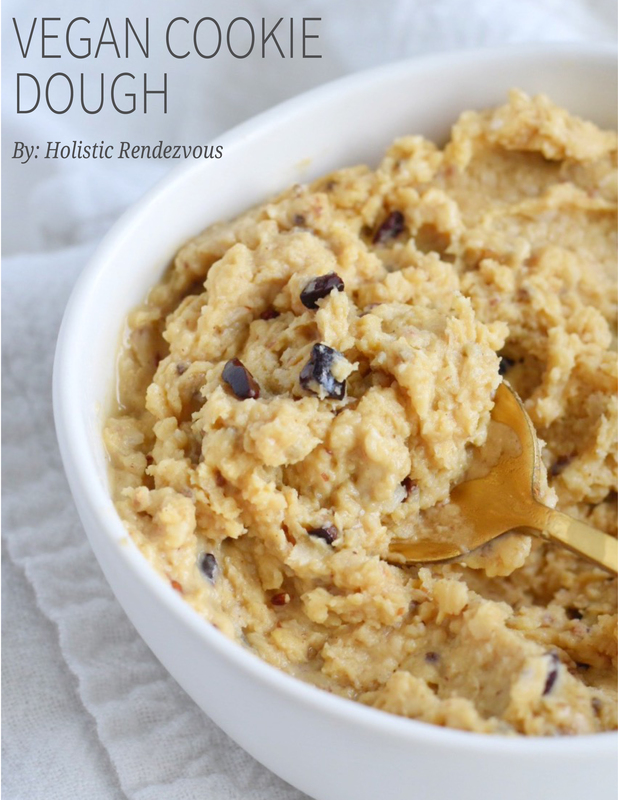 If you make this Vegan Cookie Dough, don’t forget to #holisticrendezvous and tag @holisticrendezvous so I can see all of your amazing cookie dough creations!